The UK’s most prestigious Dice Masters content provider returns with yet another episode of The Ministry of Dice podcast to fill your ear-holes with a aural pleasure as good as Revolver, Dark Side of the Moon and the Christmas Queen’s Speech combined. 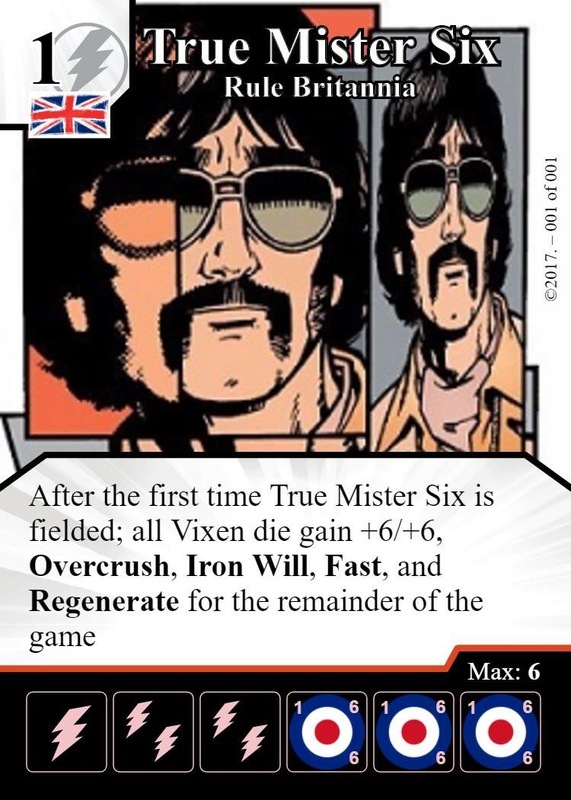 In this edition of the podcast: Chris & Andy share the latest news from the World of Dice Masters, discuss a different aspect of the Dice Masters experience with a segment on their favourite and most hated art-work on a Dice Masters card, and take a closer look at the Super Rare “Captain Britain Iron Man” card. All this, and the usual dollops of innuendo, British wit, stupid comments and wildly inaccurate claims. Captain Britain, field him Turn 3. Turn 1 buy Mimic, Turn 2 buy Nowhere, Turn 3 field Mimic, Nowhere him into Captain Britain, then start your game xD This is what i built around him 😛 yeah it’s not really original but it could be fun to run.